Before I became a Florida dog trainer, I needed a dog trainer. Georgia, a Dalmatian, was a gift from my daughter when she went away to college. This little puppy filled the void of an empty nest, but it didn’t take long before I turned this cute little bundle of spots into an over-indulged diva who ruled the roost. And talk about barking. She was a pro at letting me know when anything moved around our property. I really needed help. Enter Bark Busters. My trainer taught me how to reclaim the leadership role and return my home to peace and quiet by putting me back in charge. I’ve been a Bark Buster trainer now for over 10 years and have trained well over a 1000 dogs. My son, Casey, joined me about 8 years ago and trains right along beside me. We work with you on such behavioral issues as jumping up, unnecessary barking, aggressive behavior, separation anxiety, toileting problems, sibling rivalry, and more. Also as an added convenience, we do it all in your home which is where the issues start. The results are quick and the methods are non-harsh, dog-friendly. No prong collars, shock collars or choke chains are ever used. We also won’t turn you into a treat dispenser either as we train the brain, not the belly. We teach you to think canine, and to top it all off, we give you a “Life of the Dog Guarantee”. That’s great peace of mind. Sorry to say, my sweet Georgia passed away a couple years ago, but she was a sweet, well-behaved girl until the very end. Thank you Bark Busters. Our methods really work! • Positive Reinforcement. Our first dog training session will take approximately 3 hours. The Bark Busters system is a positive, non-physical (no choke, pinch, prong or shock collars) natural approach to dog behavior modification based on understanding and clear communication. • Easy. At the end of each lesson I will leave you with written instructions to follow, usually about 15-20 minutes daily for approximately 5 weeks. Most of my clients see results within the first 30 minutes of the very first session! Those that stick with the program I customize for them get great, long lasting results. • In Home. There’s no “one size fits all” when it comes to dog training. I will come to your home for private dog training lessons. This has proven to be much more successful than obedience classes, where your dog and its issues get lost in the crowd. • Lifetime Guarantee. I offer a choice of service levels that makes training affordable for everyone. The “Life of the Dog” service is by far the best value. It goes wherever you and your dog go! 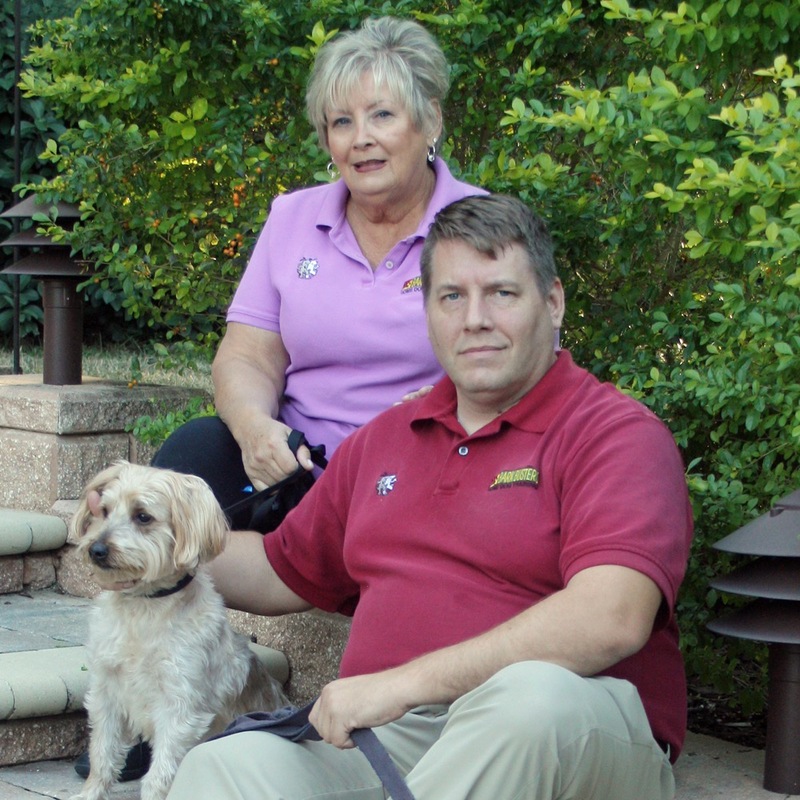 Bark Busters is the only company with National Support & Training.